Furnaces have filters just like air conditioning systems do. If you have a combination system, then there is typically a single filter for both. The purpose of the filter is to remove dust, pollen and other pollutants from the air before it is pumped throughout a building. Furnace filters should be replaced at least once per month in the winter. Roll filters are quick to install since you can cut the filter to a size that fits your unit. Furnace filters remove dust and allergens from the air. Shut off the thermostat that controls the furnace buy turning it to the off position. Look at the side of the furnace for a slotted handle. Insert your fingers into the handle and lift up to remove the metal side panel of the furnace. Set the panel aside out of the way. Look inside the furnace for the existing filter, which will be near the front, and pull it out. If the filter is pleated, read the side of it to determine the dimensions. If the filter does not contain the dimensions, lay it flat and measure the length and width with a tape measure. Unroll the furnace filter material, often called media filter, and determine the length that you need, using the tape measure. Cut the length off of the roll with scissors. Measure the cut-off piece to determine the proper width and cut it with the scissors. Insert the new filter into the furnace in the same location where the old one was located. Replace the metal side of the furnace by sliding it down into place. Turn the furnace back on at the thermostat. Some furnace side panels have screws that require a screwdriver to remove. 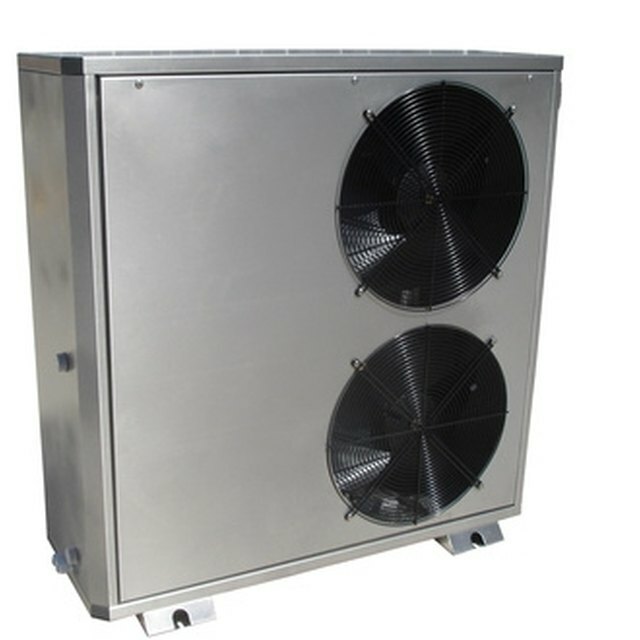 If you have a combination air conditioner and furnace, the filter is located near the blower, which is a grate visible in the ceiling or wall inside the house. Ensure the furnace parts you touch are cool enough to handle before proceeding.